About a half mile down the road from my house is a fully-functioning farm stand. As the warmer months commence, the farm opens up for flower sales and concludes in the fall with pumpkins and other Autumn-related accoutrements. In between, the farm sells its own produce: corn, tomatoes, squash and a couple dozen more vegetables and fruits. It’s not uncommon for my wife, my kids and me to take the dog for a walk to the farm to get vegetables and fruit for the upcoming week. Insert any joke you may, but, yes, usually we bring our own reusable bags, too. In a world where growers and wholesalers have been able to use technology to bend the laws of space and time in order to give us our seasonal produce year round, going to the farm is an anachronistic pleasure. The benefit of supporting a local business aside, there’s something magical in squeezing and examining fresh tomatoes, amidst the imperfections only a family farm can produce, for the best ones for tonight’s salad. In the beer business, the term “seasonal” has become synonymous with limited release, rather than a reflection of actual seasonal brewing processes and ingredients. Bound by constraints of time and the availability of ingredients, seasonal beer reflects more the type of beer a brewery thinks we should drink (see: lighter, low-ABV beers in the summer; heavier, darker seasonals in the wintertime). This isn’t the breweries’ fault, but it lies in the challenge of being at the behest of agriculture. Sometimes the crop is too big; sometimes it is too small. Sometimes it comes too early; sometimes it doesn’t come at all. It’s much more practical to rely on the basic format of giving beer drinkers a style of beer more amenable to the weather. That said, there are breweries that are undertaking the challenge to utilize localized and seasonal ingredients in their beer. 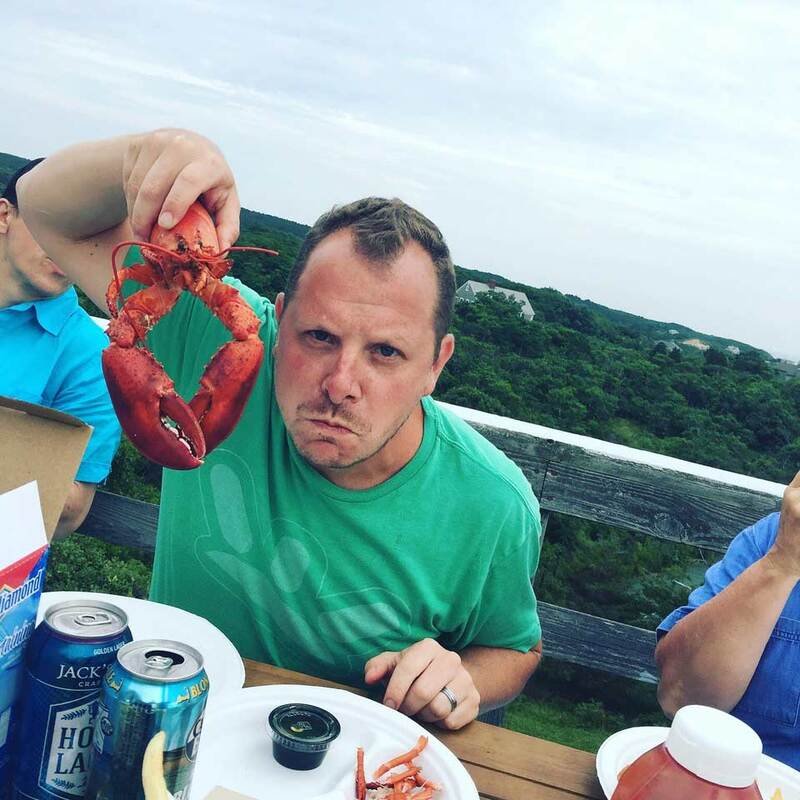 And just like nothing tastes better than a farm-fresh tomato in the summertime, craft breweries around the country are banking that there will be nothing better than a beer that takes advantage of what grows around them naturally. “For almost 20 years, the release of Blackbeary Wheat has helped mark the start of summertime for craft beer fans around Vermont,” Long Trail co-head brewer Sam Clemens says. In New England, the Long Trail Blackbeary Wheat is a bit of a cult favorite. The summertime favorite went into hibernation before what the brewery called “unprecedented demand” inspired its return in 2016. The beer was inspired by the mid-1990s’ heyday of breweries producing fruited wheat beers. Long Trail would garnish theirs with fresh blackberries and feature the beer at craft beer fests all over New England. Anyone who went to college in Vermont in the early 2000s remembers the beer as a critical part of his or her entry into craft beer. It’s a sessionable beer, light in body and bitterness that helps balance the sweet, fruity blackberry character. Shiro’s Delight is a blend of two beers, actually. The Belgian-style base beer, Interlude, is aged over plums and pluerries (a hybrid of plums and cherries), and those two beers are then blended together. The plums and pluerries are of multiple varieties, but one varietal was called “Shiro,” the other “Delight” – hence the name, “Shiro’s Delight.” Allagash has been using fresh fruit in their beer for years, but it’s not without challenges. Allagash is beholden to what the land gives them, which could be a surplus or nothing at all. St. Louis mainstay Schlafly’s 2018 Cellar Selections are going in the direction of beers the mimic the complexity of a cocktail. The Paloma Gose is, at 4.5% ABV, a beautifully tart beer that’s light enough to drink all day. It will remind drinkers of having a well-made margarita. The lime and the tartness of the style don’t mix as much as they do interact with one another, each a mutually-prevalent player in the flavor of the beer. “With low alcohol and hop profiles, it’s a cocktail disguised as a wonderfully balanced beer,” founding brewer Stephen Hale says. Schlafly continues to impress with their one-off series. The innovation to craft a Mexican-inspired and German-style hybrid beer will impress drinkers. 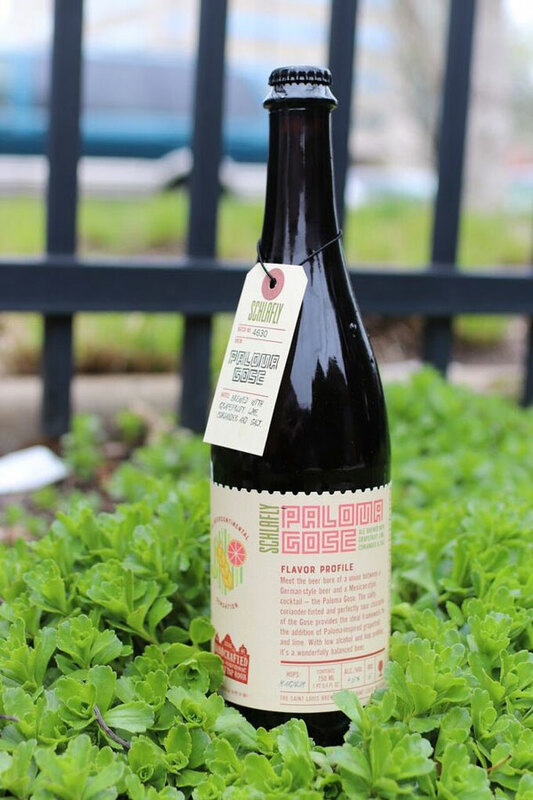 The Paloma Gose is also available in 750ml bottles, which makes this refreshing summer beer perfect to share. Not to get too Gose-forward, but any beer list about seasonal ingredient must include this gem by San Diego’s coolest brewery, Modern Times. The Passionfruit Fruitlands is billed by the brewery as a “wall-to-wall tropical fruit fiesta,” and features a juiciness that fuels sustained good drinking over a warm day at the beach. Tartness is there, but the beer isn’t too acidic to the point of being sour. The pilsner malts gives the beer a wheat backbone that really ties this beer together. While the hop-forward brews from Modern Times may get the acclaim (and deservedly so), Fruitlands showcases the brewing talents as a beer the lets the seasonal ingredients be the star. Granted, summer isn’t really stout season, but for this there might have to be an exception. The Raspberry Stout made by the folks at Hardywood Park Craft Brewery down in Virginia is an imperial stout made with cacao nibs and locally-sourced raspberries. It’s big and decadent at 9.2% ABV, but possesses a slightly tart-but-sweet finish that brings the imperial stout from being an inside beer to being the kind of summer beer that you can drink at the end of the night with friends by the fire. Fresh cucumbers in a salad, a glass of water or on a sandwich are a summertime game-changer. They’re not missed when they’re absent, but their presence kicks everything up a notch. A well-made kolsch, too, is a great addition to a summer beer lineup. The Indiana brewery’s combination of the two is a welcomed expansion to the beer world. Cucumber interacts well with a crisp malt base. The star of the show is the vegetable, a role it’s unaccustomed to playing, but it works well here – especially if you like cucumbers. 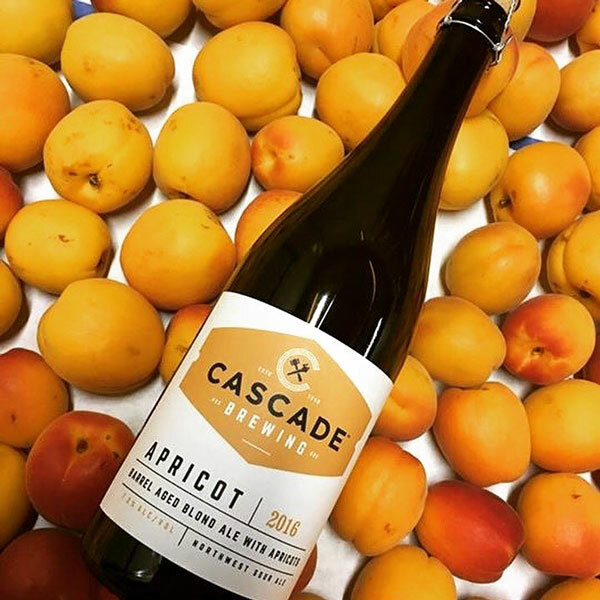 Every year, the crew at Portland, Oregon’s Cascade Brewing follows the harvesting calendar to ensure their beers get the freshest fruit for their highly-regarded sour beers. The apricot sour is the best of the bunch, hovering around 7% ABV, depending on the season (higher temps yields higher alcohol content). 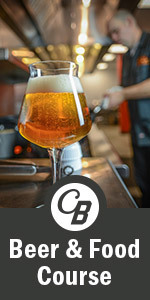 The base beer is 100 percent blonde ale, aged for eight months in neutral oak barrels and aged for an additional six months with apricots. Martin suggests pairing Apricot with a lighter meat like grilled pork chops or herbed chicken. Athens, Georgia’s Creature Comforts ethos is built around curiosity and the creation of artisan ales through those endeavors. This brewery is well known for their inclusion of locally-sourced grains and ingredients like honey, as well as their hop-forward beers. In Athena, their year-round Berliner Weiss, the term “paradiso” is affixed to create an image of paradise by way of fruit addition. The tart cherry, raspberry and cranberry is the 2018 version of Athena. 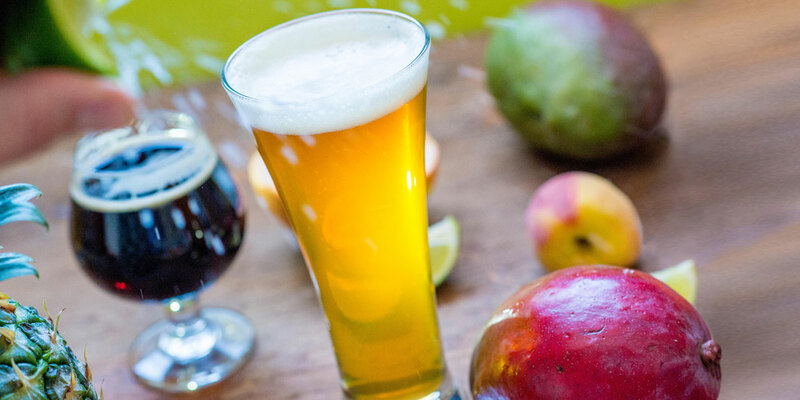 This fruit-forward beer is more akin to drinking an alcoholic jam, only without the seeds. Drinkers will definitely feel as if they’re sipping in season with Athena Paradiso. Peaches can be the quintessential summer fruit. Perfectly ripe, it’s hard to eat a great peach without the juices saturating clothing and making faces and hands sticky. Logsdon Farmhouse Ales‘ Peche ‘n Brett is the best peach beer available, and judges at the Great American Beer Fest and the World Beer Cup have agreed. Funky and dry, this beer masks its 10% ABV behind the subtlety of the peach. Perfect for a summer picnic, and much less messy. According to Frank Luther, the mastermind behind Cleveland’s Masthead Brewing, the inspiration for the Jalapeño IPA came from a pizza joint in Asheville, North Carolina. And so he took the idea back home to the brewery where, after a couple dumped batches, he too nailed that balance. This beer sticks true to its pizza roots: he roasts fresh jalapeños in the brewery’s pizza oven and runs them over to the brewery where the brewers toss them in. The description of this beer, “Teased from the loam by the kiss of the sun,” is appropriate because it reminds us of the sweet summer days winding down into the evening as we devour some combination of sweet pie made farm fresh ingredients. Not to wax too nostalgic, but it is this beer’s simplicity that makes it a perfect summer drink: lightly tart, effervescent, and balanced between the strawberries and the rhubarb. It’s also a great beer to pair. It’s versatile enough to accompany anything from a garden salad to grilled chicken (or both), and can be used to pair with an appetizer like a soft cheese or alongside the ultimate summer standard vanilla ice cream. In the summer, we tend to treat ourselves. We both indulge and relax. We get outside a little more and pick up books we’ve been meaning to read. Trips to the ice cream stand aside, we tend to eat a little better, too. It’s only right that we drink a little better as well.